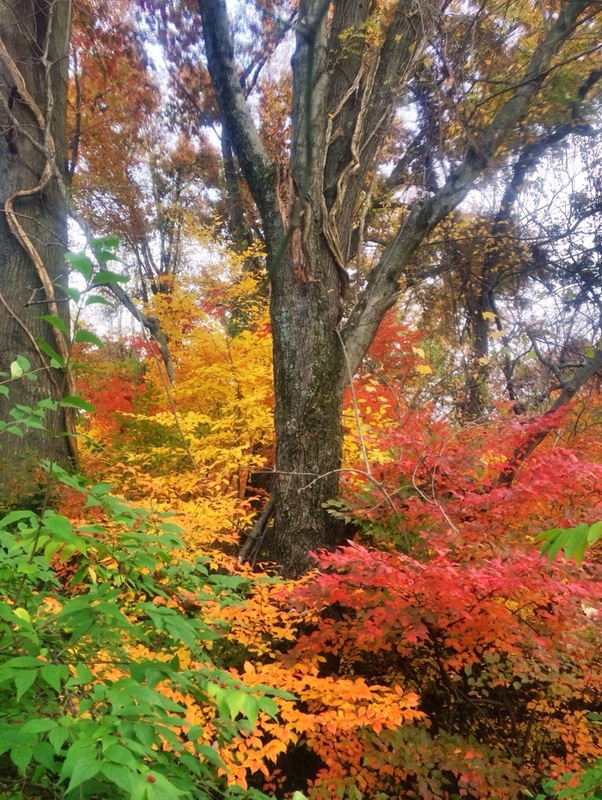 An impromptu hike through the State Arboretum of Virginia this afternoon, and we stumbled upon a hidden glade overflowing with color. The trusty iPhone came in handy, and, after propping myself against a branch, I managed a couple of stable shots as the sun disappeared over the horizon. We enjoyed a brisk walk as the chilly evening temperatures fell and observed the last of the fall colors. Peppermint and Cam burned off some energy and will no doubt sleep well tonight.